This week is all about the sparkle and shine. And the barrage of posts by me (this is what happens when I’m given vacation time). But mostly, it’s about sparkle and shine.There’s something a bit magical about how a good highlighter can give definition to your bone structure, make your skin look fresh and young and just add that special finishing touch to your makeup look. 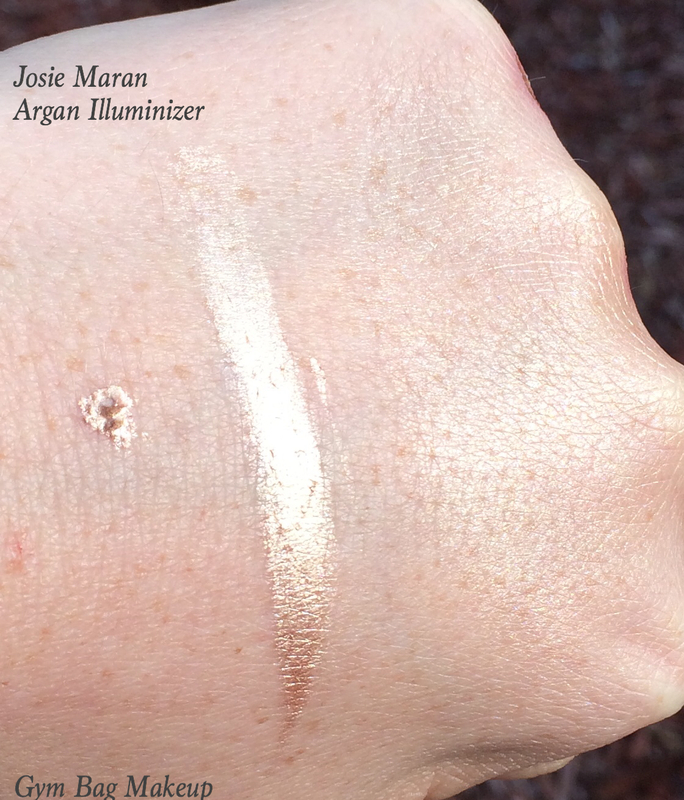 Matte highlighters can be truly beautiful but I’m a sucker for products that will make me feel like a fairy princess and nothing does that more for me than a shimmering highlighter. This highlighter is in the form of a thick cream product dispensed via a pump. On the Josie Maran website, she states that a dab the size of a chocolate chip is all you need and when I read that I, A) had a sudden craving for chocolate chip cookies because I’m horribly impressionable and I like cookies and B) thought “holy crap, the size of a chocolate chip? !” I could probably completely cover my entire face with that much product and I’d look a little like a gold version of the tin man. For real, that’s a lot of product. 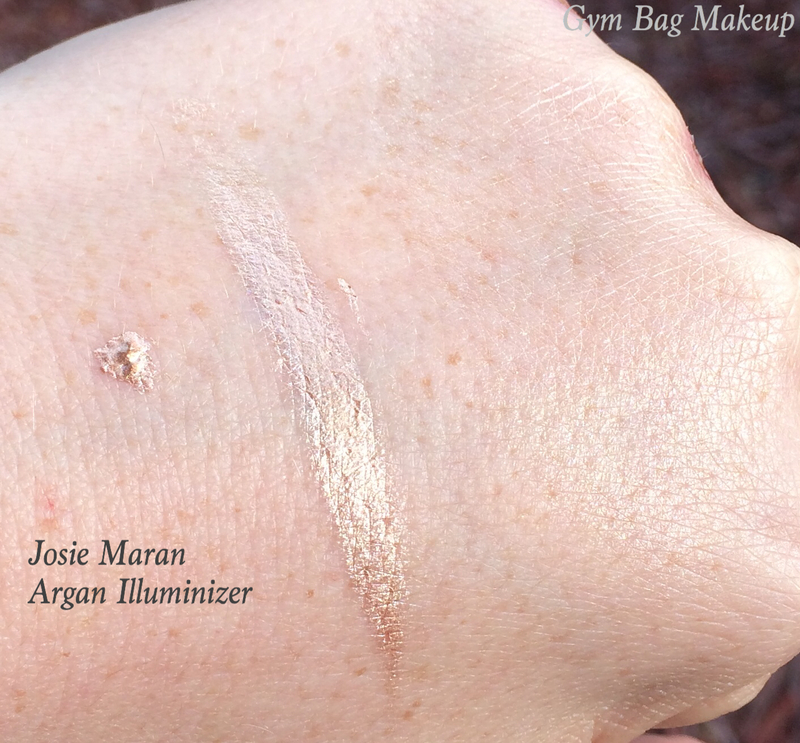 This is just to show how much product I used to achieve the swatches in the following photos. When I’m using this to highlight my cheekbones, I use ONE of these dots of product and still have enough left for my cupids bow and to smear a little on my collar bone. What it is: Turn your inner glow into an outie. 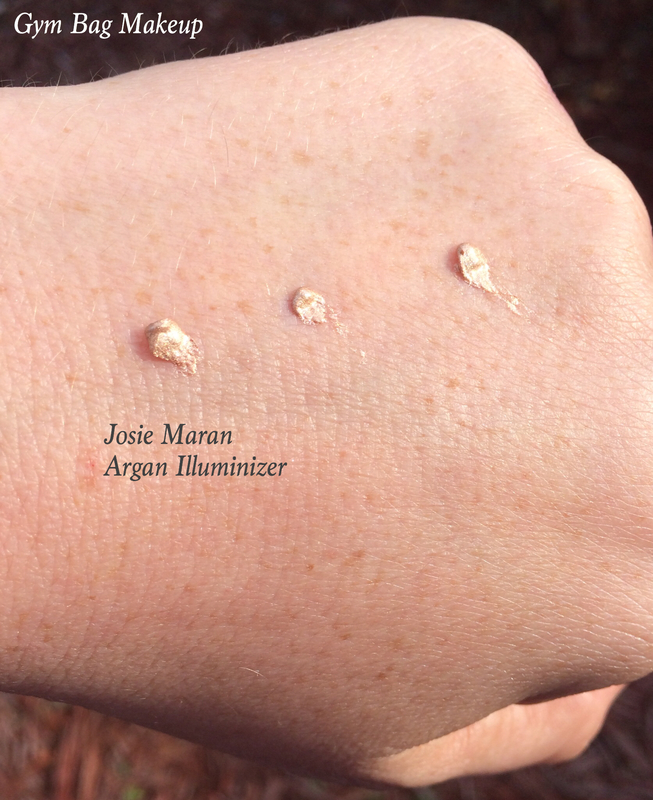 A dab or two of Argan Illuminizer puts your face in a flattering light: dark circles fade, cheekbones strut their stuff, and your eyes wake up and say hi. My Illuminizer bronzes too, just enough to warm up your skin and let the light find you. Why I love it: My Illuminizer is the closest I’ve come to getting 8 hours of sleep in a heartbeat. The champagne-y sheen brings out the inner brilliance of every skin tone. 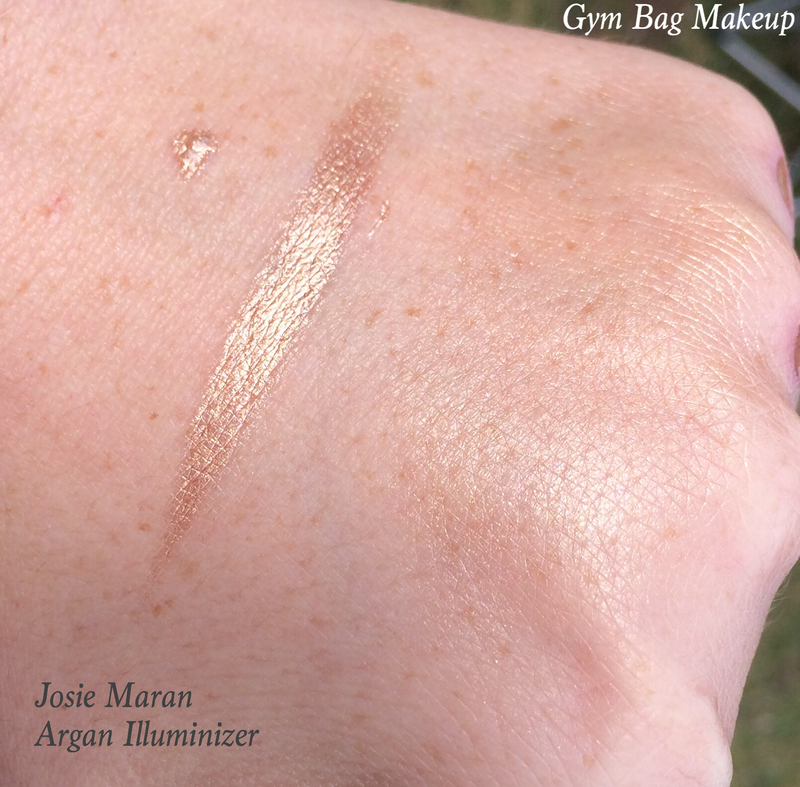 And it’s super-subtle, with tiny particles that make skin attract the light for a diffuse, all-around radiance—so you’ll look glowy, not glitter-bombed. What’s in it: My 100% Pure Argan Oil takes center stage, drawing the spotlight with Vitamin E and essential fatty acids for a rejuvenating, replenishing effect. With a touch of glimmer and natural grape seed oil for added nourishment, your face will be good to glow. What’s not in it: I’m all about illuminating, not contaminating. So, no fake fragrances, no skin-stressing parabens or sulfates, no genetically modified anything. How I use it: A little goes a long way. If I want to highlight a certain area, I pump a smidgen onto my fingertips—to quote one of my lovely customers, a drop the size of a chocolate chip is all you need. Then apply to cheekbones, brow bones, or eyelids. 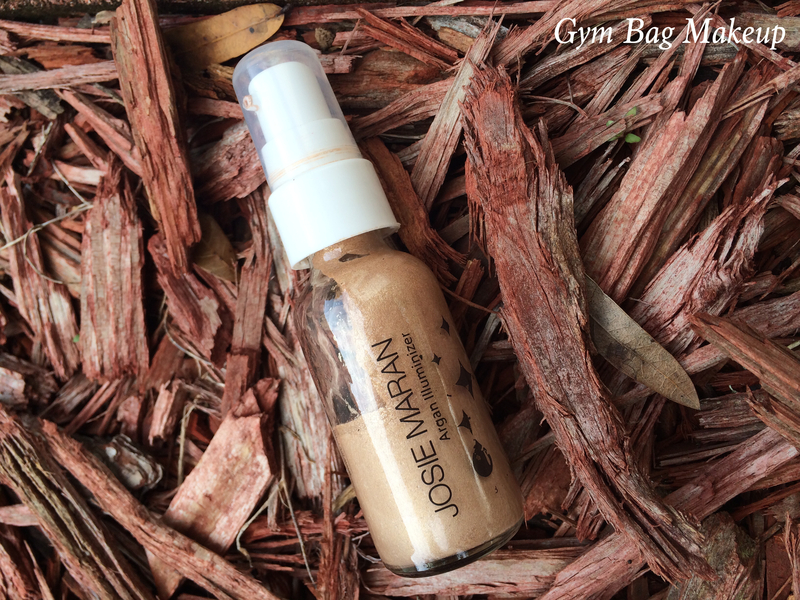 For all-over dewy coverage that lasts all day, I mix a bit with my Argan Matchmaker Serum Foundation and blend all over my face. There are ten ingredients listed before Argan Oil so I’m not sure that it really “takes the stage” and I would question the marketing of this as a skin care product. I will say that I have never had any kind of weird reaction to this product and it’s never broken me out or caused any other negative effects, I just haven’t noticed that my cheek bones are super moisturized after using this. Before I give my overall thoughts, lets look at the plethora of pictures I took of my swatches. Highlighters are really fun to try to capture on camera. Shifty little buggers. This is the only photo that was taken indoors. As you can see, if you really wanted to build this up for a metallic effect, that would be easily achieved. 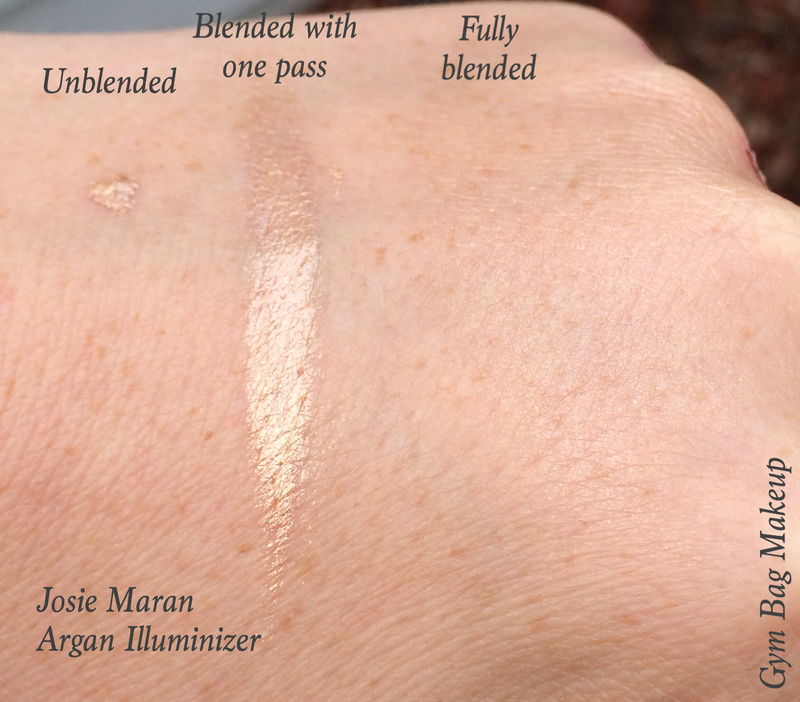 Once blended out there are no chunks of shimmer or glitter and you’re left with a really lovely sheen. This wears all day on me and doesn’t feel greasy and it doesn’t ever get dry and flaky. Because such a little bit of product goes a long way, a bottle of this product could last you forever. I’ve had this particular bottle for at least three years and it’s not even half gone. Occasionally, especially around the holidays, this will be available in smaller sizes in gift sets or as stocking stuffers and a small bottle would be more than enough product. This retails for $28.00 for 1 oz. 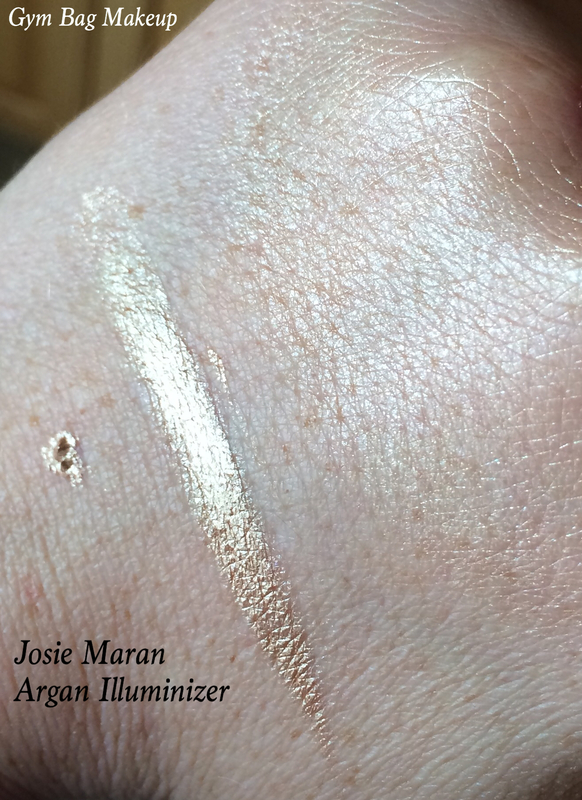 (quite a bit of product) and is available on the Josie Maran website or from Sephora. You do need to make sure to thoroughly blend this so you’re not left with a golden streak on your face. Unless that’s what you’re going for, in which case, rock on! The only real complaint I have is a small one and it pertains to the packaging. The nozzle that dispenses the product actually touches the cap which just means that the cap and nozzle are perpetually super messy. It bugs me, but doesn’t actually effect the product performance so it’s a secondary complaint. Overall, I really enjoy this product and would highly recommend it. Just remember that it’s makeup, not skincare, despite how it may be marketed.